We don’t have photos of the first 15 presidents’ inaugurations, but the above photo was recently found of 16th U.S. President Abraham Lincoln’s first inauguration. It’s the first photograph ever taken of a presidential inauguration. 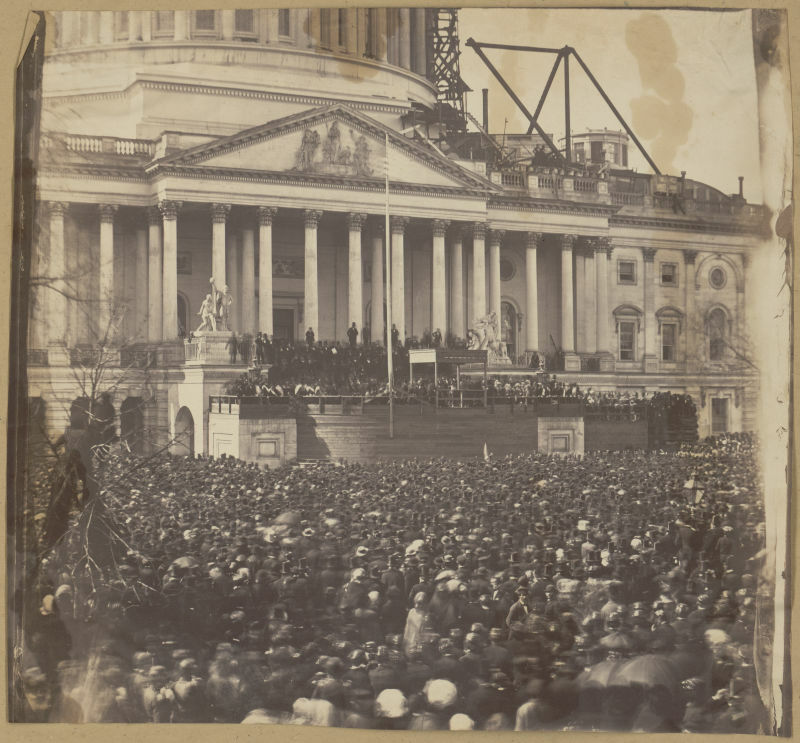 The photo, one of only three known to exist, shows a large crowd gathered outside the east side of the U.S. Capitol to attend Lincoln’s swearing-in ceremony. It’s thought to have been taken by photographer Alexander Gardner, known for his work during the Civil War, which began about six weeks after this photo was taken. Only two other copies of this photo exist—one in a Smithsonian Institution collection and the other at the Library of Congress. The 156-year-old photo is a small miracle unto itself. Photos this old, without proper care, will undergo various stages of decay. Photos, slides, and negatives are made by using chemicals that are sensitive to moisture, light, and changes in temperature. As time passes, these chemicals degrade and the image starts to fade away, typically turning yellow and developing cracks. Other factors, such as exposure to oil, dust, dirt and some gases also contribute to picture deterioration. Love history stories like this? We’ve got insider tips just for subscribers. Get a year’s worth of the best and funniest and most interesting things you need to know for $12.